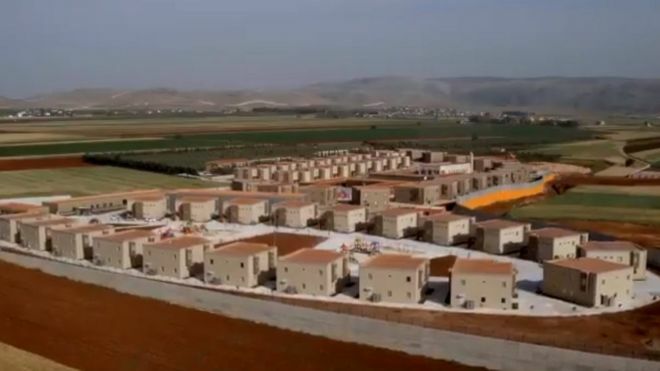 Turkey has opened a vast centre dedicated to housing and educating orphans from war-torn Syria, BBC reports. The centre was built in less than two years as a co-operative project between Turkey's government and two aid groups. The United Nations Children's Fund (Unicef) estimates that six million children have been affected by the six-year conflict in Syria. Orphans City was built with the help of the Turkish pro-government IHH Humanitarian Relief Foundation and Qatar's Sheikh Thani bin Abdullah Foundation for Humanitarian Services (RAF). Its website says it aims to help rehabilitate the "war-related psychological problems and traumas" of Syrian orphans, particularly those living on the streets. Eighteen children will live in each two-storey villa along with a "caretaker" and will study at the two primary and two secondary schools built inside the complex.